Angela Thomas is the author of many Christian books, including the bestsellers A Beautiful Offering, Do You Think I’m Beautiful? and When Wallflowers Dance and is currently writing a book for single moms that should release in the first half of 2007. She is also a much sought after conference speaker.Angela is an ordinary woman in passionate pursuit of God. By sharing honestly from her own brokenness, God has given her the tools to minister powerfully into the lives of others. Angela received her Master’s degree from Dallas Theological Seminary. The next few years brought marriage and four children. On the outside, Angela seemed to be living the life every woman dreams of – then the thing she thought would never happen did – her marriage ended in divorce. Out of this darkness she discovered that God still loved her and that he could still use her. It was not the end of Angela’s story but the beginning of a new chapter. Her brokenness during that time has helped her minister to women with an even greater passion and understanding.Angela’s skill in creating an instant connection with her audience, whether at a conference or in her books, draws women of all ages and life experience to her. Women feel she is a lifelong friend because of her honesty, humour, conversational style, and ability to tell a story like few others.Angela is passionate about sharing God’s truth with women… anywhere, anytime. On the morning of September 11, 2001, Cheryl McGuinness kissed her husband goodbye as he headed off to work. She never saw him again… “I was a normal woman, living a very happy life and I never pictured that our dream would suddenly become a nightmare. And then came September 11.” Cheryl’s husband, Tom McGuinness, 42, was the co-pilot of American Airlines flight 11, which was flown into the north tower of the World Trade Centre.Since that day, Cheryl has learned how to hope again. Through her powerful story, others can find hope as well. Cheryl’s message of renewal, recovery and faith is a message that resonates. Now, supported by her deep faith in God, Cheryl is reaching out to others who have also experienced tragedy by sharing her message of courage, determination and love.Her ministry, Beauty Beyond the Ashes, is dedicated to supporting and encouraging those who are feeling overwhelmed by their circumstances.Through the journey Cheryl and her two children have found a place of healing and forgiveness. 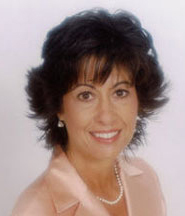 Cheryl is a widely sought after speaker and the author of Beauty Beyond the Ashes.